Hi. My name is Wayne. 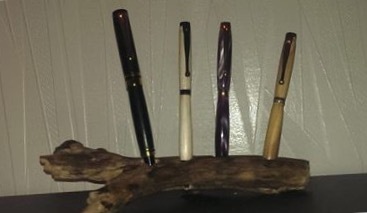 My hobby is woodturning pens. The pens I produce are of a high quality and individuality which make ideal presents for all occasions I have designed a range of fountain pens, rollerball pens, ballpoint pens and pencils which I normally made to order however I have a small range of stock these are the ones advertised. All made from exotic woods and acrylics and are individual and unique. If you have any preference to design, material and colour please contact me.